Today on our celebrity biographies, we are going to host Supreme Mavin Dynasty's boss, Don Jazzy. Having seen the other members of the SMD, Di'ja, Reekado Banks and Korede Bello, our list will never be complete without featuring the boss. Don Jazzy, the Mavin boss, who is the only Nigerian popular singer without a solo song to his credit, is mainly known for his jokes and very social attitude. With his own frog voice like Davido (joking o...lol), he is still making his millions from the Nigerian music industry. Today we will be visiting him, and we will see Don Jazzy's biography, wife, children, family, early life, education, net worth, other businesses, endorsements, awards, nominations. and many other things you will need to know about him. Born 26th November, 1982 as Michael Collins Ajereh, Don Jazzy hails from Umuahia in Abia State, Nigeria. He is a song writer, singer and business man. He together with D'Banj co-founded the 'Mo-hits' record but they later split, and he founded the present record label now, the Supreme Mavin Dynasty. His present record label is home to the likes of D'Prince (his younger brother), Tiwa Savage, Di’ja, Dr Sid, Korede Bello, Reekado Banks, LadiPoe, Johnny Drill and the DNA Twins. 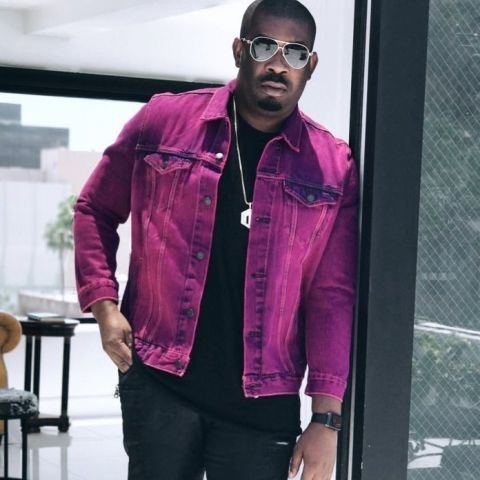 Don Jazzy had his early education at the Federal Government College, Lagos State and then proceeded to Ambrose Alli University, Ekpoma,Edo State to study Business Administration. Speaking on his early music life, Micheal started playing drums at an early age of about four and he developed passion for the guitar when he was only twelve years old. Maybe we would accord this to the fact that he was born into the Cherubim and Seraphim church, and they were always too musical there. Don Jazzy is probably one of the most successful artists Nigeria has now. Before coming into limelight and becoming a successful musical artist, Don Jazzy also engaged himself in some odd jobs such as working as a security guard and he finally decided to build his musical career. He came to find a few like-minded people such as Kas, Solek, JJC & 419 squad and D'banj (co-founder of Mo'hits and founder of the D'bank Records). He however began his full music career and partnered with D'banj, the Koko Master to set up the Mo'Hits Record Label. It didn't take them up to two years of working together to produce two successful albums, 'Rundown/funk You Up' and 'No Long Thing'. They were also working on the third then, and Don Jazzy was already getting popular in the Nigerian music industry, with popular into - 'It's Don Jazzy Again'. It was during this time that he worked on Wande Coal's Mushin album even to the Mo'Hits album and they both were among the most successful albums in their time. He has signed a good number of artists and many of them such as Tiwa Savage, Reekado Banks and Korede Bello are all doing fine. He has not been associated with much beef, except in the rare case of his feud with YBNL boss, Olamide which arose as a result of SMD artist, Reekado Banks getting an award over YBNL artist, Lil Kesh. This was allegedly later settled by billionaire businessman, Aliko Dangote. Ever since Don Jazzy came into limelight, he has received a good number of awards both in the Nigerian music industry and abroad. Nigerian Entertainment Award for music producer of the year. The Headies 2014 – Producer of the year for 'Dorobucci'. The Headies award for producer of the year for 'Over The Moon', 'Pop Something' and 'Mr Endowed'. City People Entertainment Award 2015 – Special recognition award. He has also gotten a good number of deals and brand endorsements such as from Samsung, MTN and the Loya Milk. He is one of the most respected deal ambassadors in Nigeria today! Don Jazzy doesn't have a solo song of his own, but he has been featured in so many music. He has also produced a good number of others. Being one of the richest Nigerian entertainers, Jazzy leads a rather extravagant life. He has a lot of houses and his garages are decorated with the likes of Porsche 911, Flying Spur, Bentley Continental, Range Rover Sports, Cadillac Escalade and many others. Don Jazzy is one of the most successful artists in Nigeria. With a lot of awards, endorrsements, deals and of course, assets to his credit, he is estimated to be worth $100million (WealthResult.com). If you are active in the Nigerian social media circle, you will not be new to the word DON JAZZY! He is always on the trends and often making jokes, throwing shades or doing a few other things to keep the social media fun and rolling. What's more? We couldn't get reliable information concerning Don Jazzy's wife, children and other family members. However, it may interest you that he is the elder sibling to the 'Oga Titus' crooner, D'Prince or better still known as Omoba. He is also known to be often showing interest in some female celebrities such as Rihanna and Linda Ikeji. Maybe he has done it so much often that we cannot really tell them to be serious anymore. Whatever, he is one of Nigeria's most hilarious artists and we love him for that! We're pretty sure you have known more about your favorite artist Don Jazzy now. Kindly share to your friends too and submit all corrections to this bio to us via contact@infoguideafrica.com! Thanks a lot for reading long. YO!